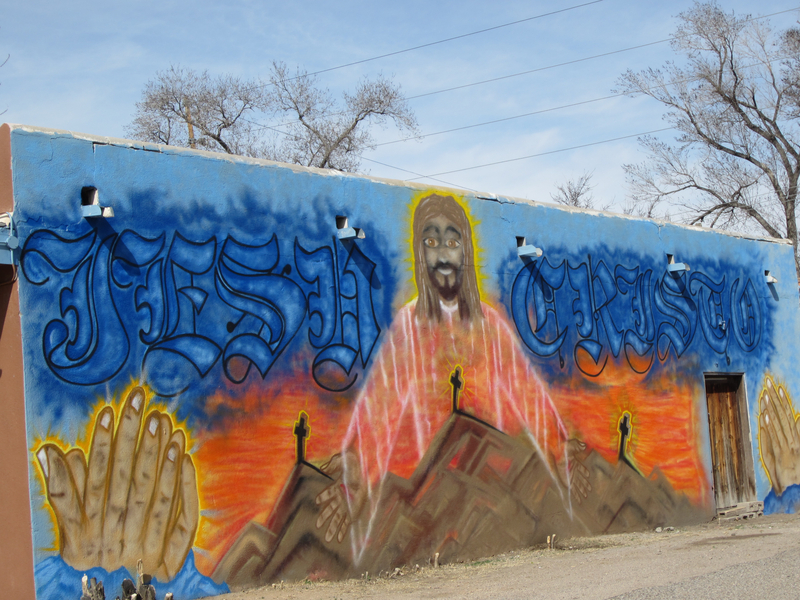 This is part II of the series “Under the New Mexican Sun”. For part I, click here. My daughter Sophia and I truly enjoyed our morning at the fabulous Albuquerque Zoo where we were truly able to get up close and personal with the animals. Instead of a sad place, it was a happy environment full of life and in close contact with nature. There were several times when it was just Sophia, myself and the big, black hairy gorillas peering over at us and questioning. It was surreal how humanlike the apes were! 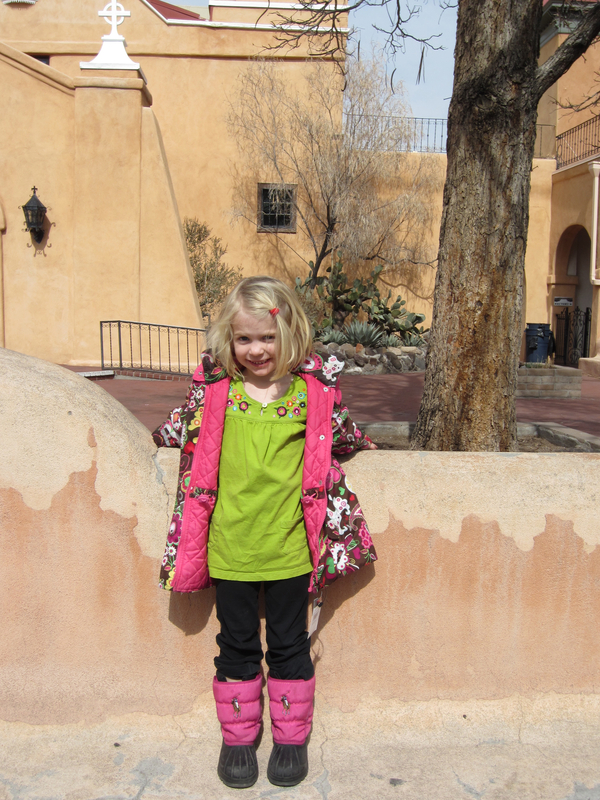 We could have spent an entire day at the zoo exploring yet there was more of Albuquerque that I wanted to see, namely the infamous Old Town. 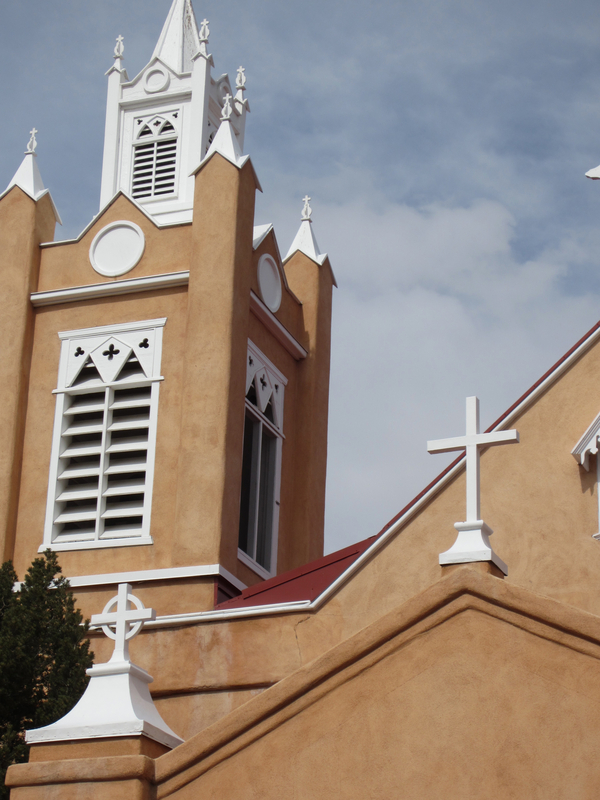 Historic Old Town is the heart and soul of the city. 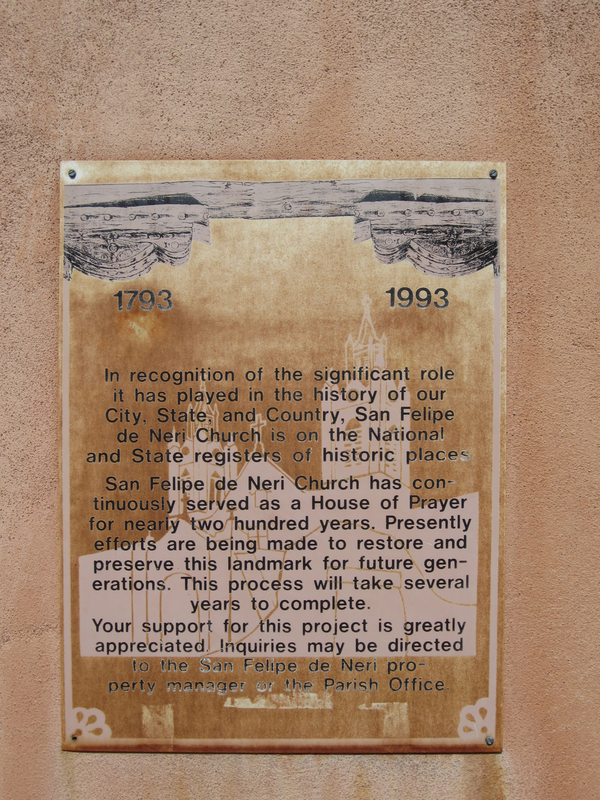 It was built over seventy years before the American Revolution in 1706 by the Spanish and remains relatively unchanged. 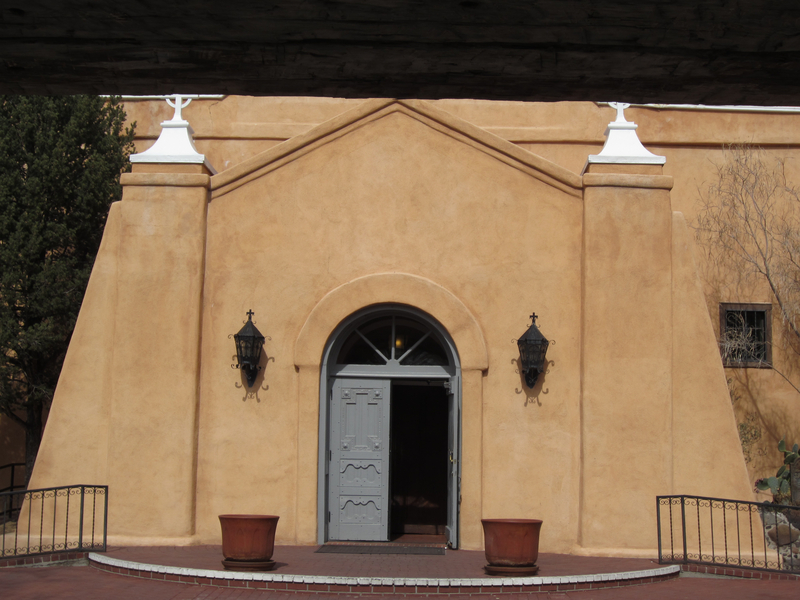 The centerpiece of Old Town remains the city’s oldest building, the Felipe de Neri Church which was constructed adobe-style in 1793. The main square is centered around the church and contains charming, tree-shaded side streets and alleyways full of art galleries, shops and restaurants. 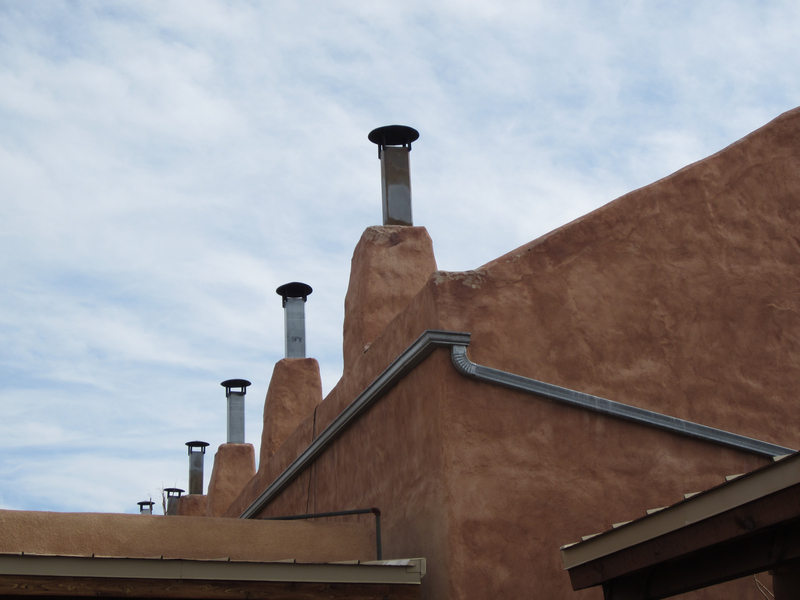 The adobe architecture is marvelous and I could have spent hours wandering around. Yet we only had a short time before we had to head back to the airport to catch our flight. I had read the following descriptions of Albuquerque’s art and culture in the visitor’s guide, and it was easy to see what they meant. Art was everywhere! 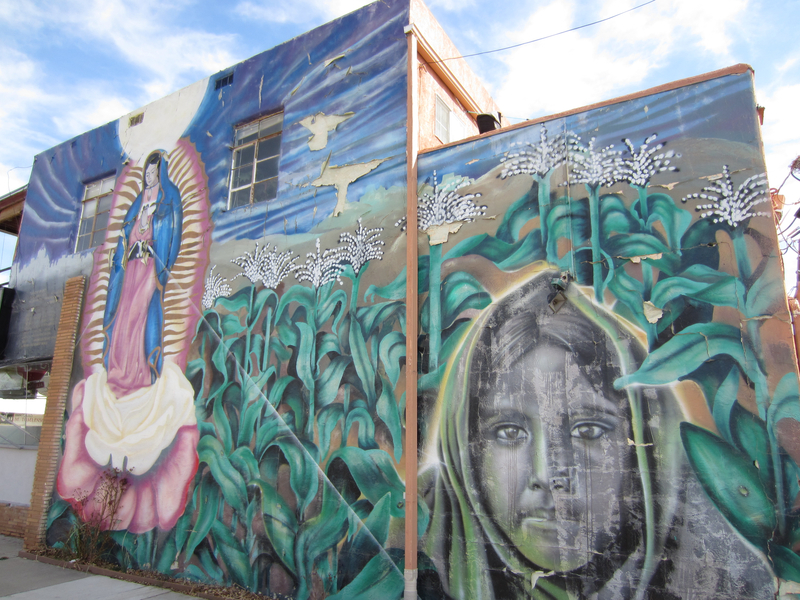 “Authentic art reflects the city’s history, culture and creative spirit, blending centuries-old traditions and contemporary life in urban Albuquerque”. 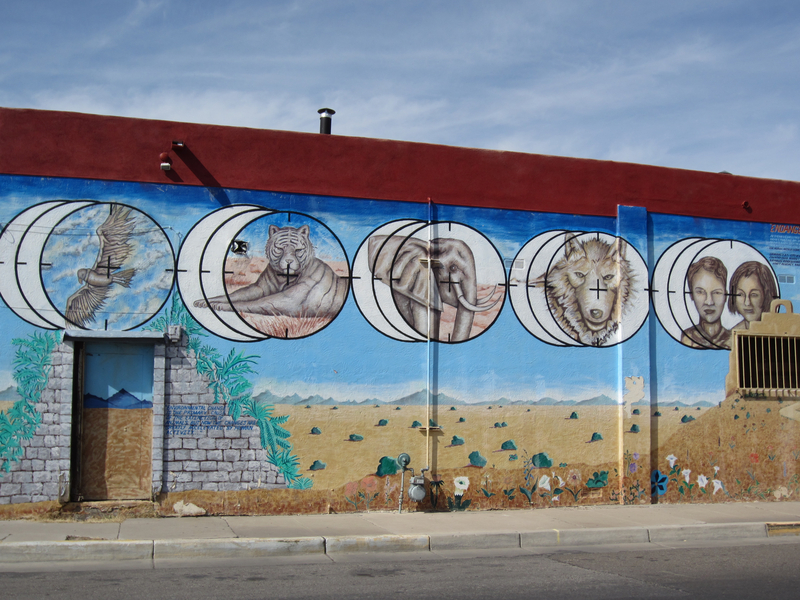 “Art is everywhere in Albuquerque: in world-class museums, in artist-owned galleries and in outdoor public places. 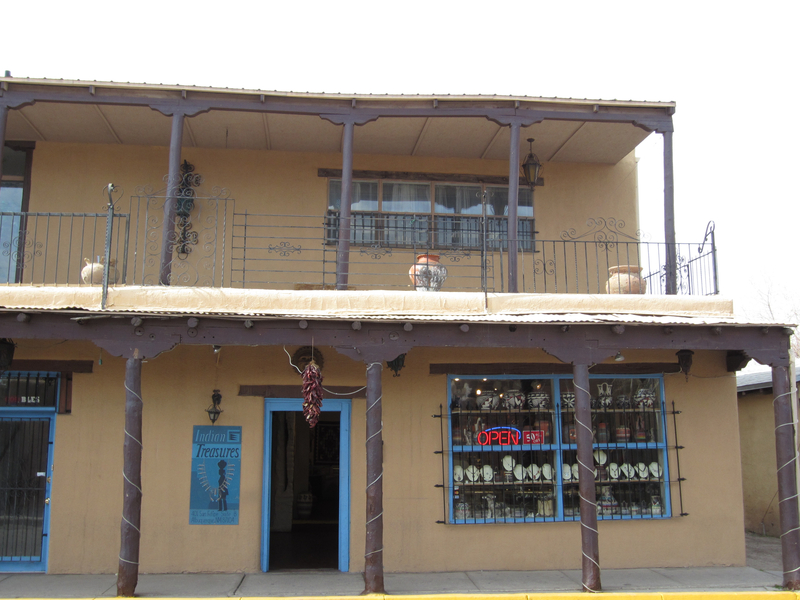 The city is a tapestry of unique architecture and signage, from Pueblo Revival-style buildings in Old Town to pulsing neon signs on old Route 66”. On our way to Old Town from the zoo, a meager couple of miles, I stopped numerous times to snap photos of some of this “al fresco” art. 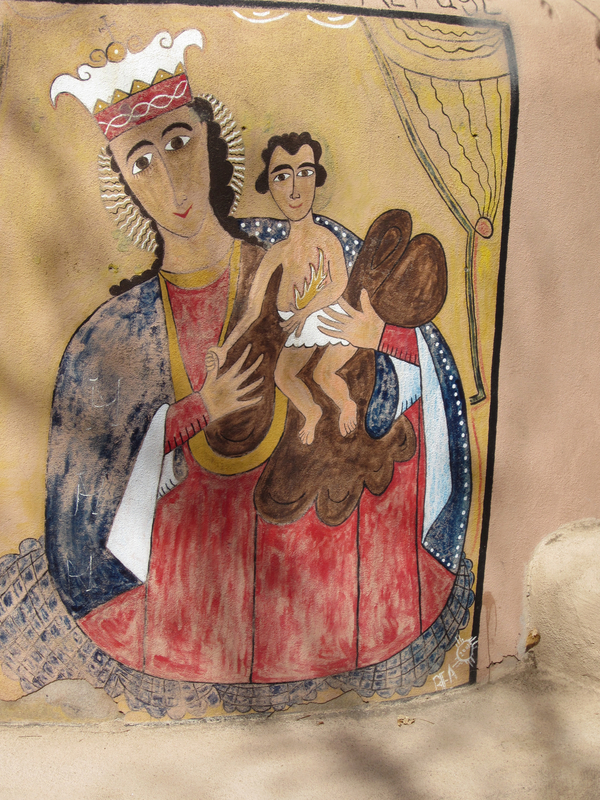 Murals were everywhere—-on abandoned building, sides of small shops and homes. It was fabulous! Poor Sophia sat in her car seat asking me why I kept pulling over, getting out of the car and bouncing with joy at each masterpiece. “Look at this art! It is beautiful” I beamed. “Yes mama” Soph replied. “Can we go now”? She’s only five…what a trouper! Here are some of my favorites….. 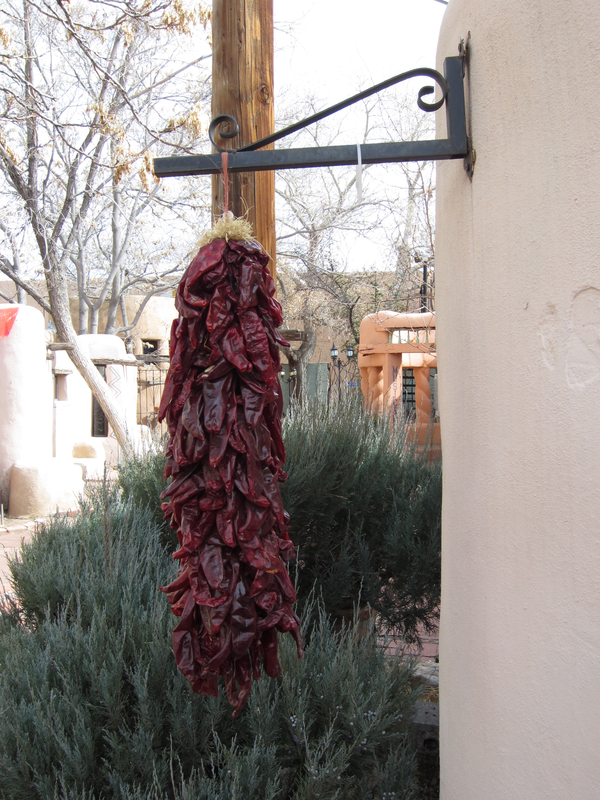 Finally we made it to historic Old Town where I was pleasantly surprised by its Southwestern charm and appeal. I could have spent hours wandering around the tiny side streets taking it all in. But I had my little girl with me and we only had an hour until it was time to catch our flight home to Minneapolis. Too bad! 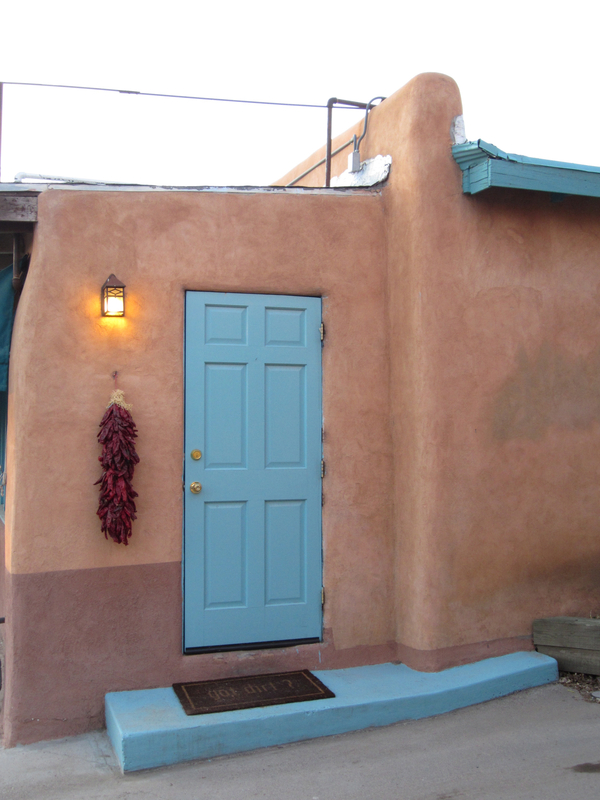 Here are some of the highlights from Old Town….. 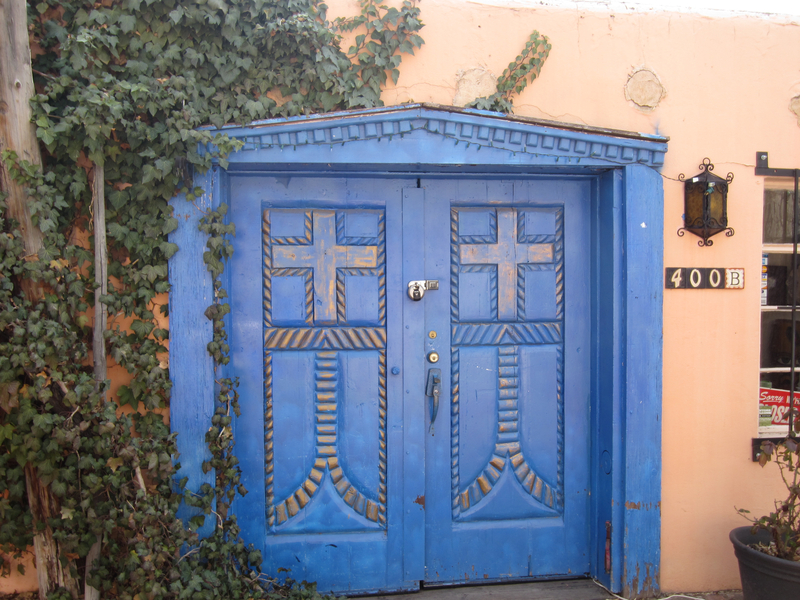 I adored the turquoise blue doors! And this brilliant blue one too! (My favorite color). 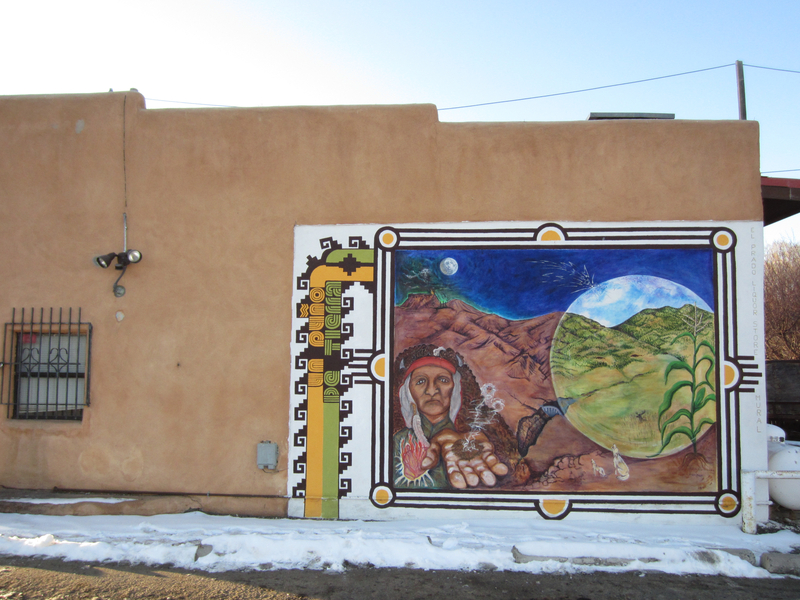 There are ten blocks just like this one lined with shops, restaurants and art galleries all designed in adobe architecture. We wandered down this little alley and heard a man playing a guitar and singing. 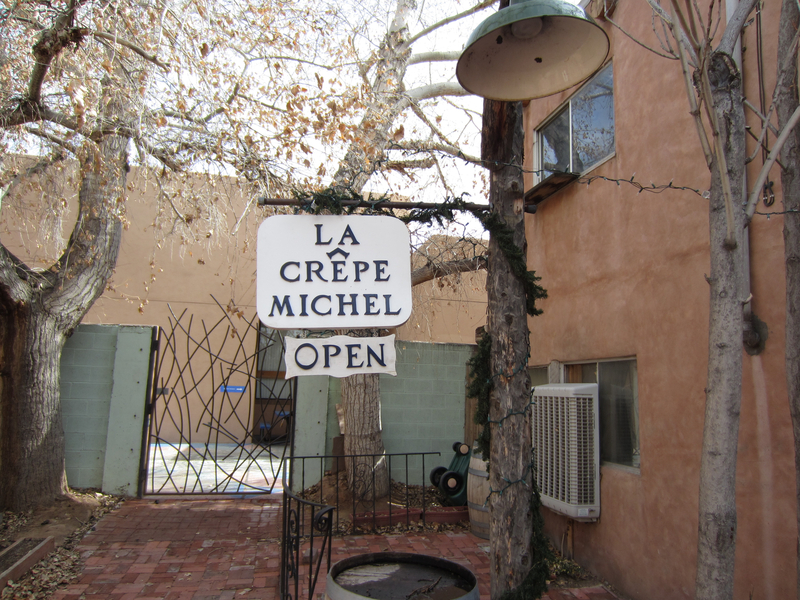 We found this quaint little Creperie and had a delightful lunch. (Of course Sophia just picked out her food…while I indulged). After a filing lunch, we walked over to the main square to see its masterpiece, the Felipe de Neri Church. It was Sunday afternoon and church had already let out for the day. Native American vendors had set up shop outside opposite the church displaying their handicrafts and art for interested buyers. I enjoyed taking some photos of the gorgeous church. This photo was taken behind the church. I thought it was a cool shot. Little Ms. Sunshine asking for her photo to be taken. “Is this going to be on your blog, mama”? Simply stunning! I must admit that I’ve seen a tremendous amount of churches in my European travels. But this is the first adobe-styled church I’d seen. My farewell shot of Albuquerque…till we meet again! 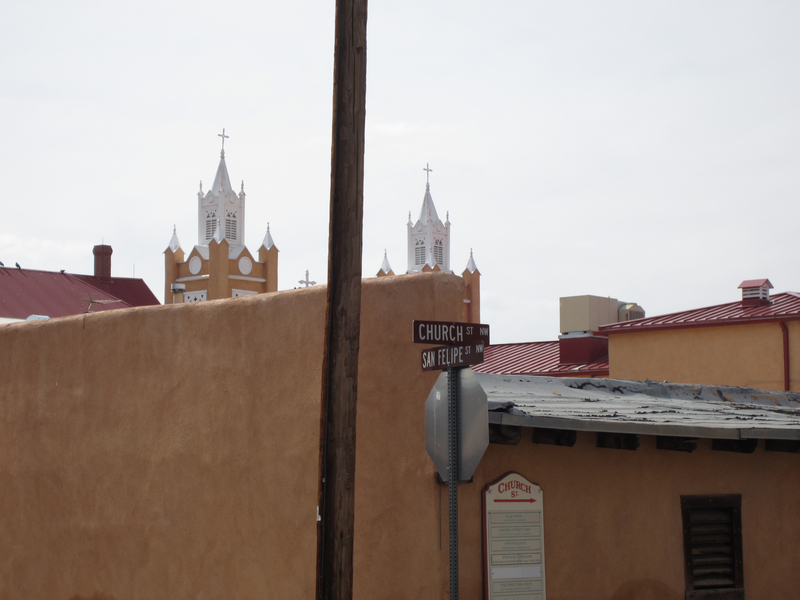 I was pleasantly surprised and charmed by New Mexico. It has an enormous amount of nature, culture and interesting things to see. It just goes to show that there is so much to see and explore in this world. Even in your own country! Don’t worry….I’ll be back! I love the feel of this city. I was there for one night, but I don’t remember much about the city. We were on our way from California to Colorado and stopped here for the night. Yeah it is pretty cool and surprised me. I really enjoyed it and really liked skiing there as opposed to Colorado. Kind of a more laid back, relaxed place with lots of art, culture, hippies and the like. I am hoping to go back next year! Hello from Duluth. I just found your blog. Nice post. Cool! Yet another Minnesotan! I love Duluth! I’ll have to check out your blog. Thanks for commenting! 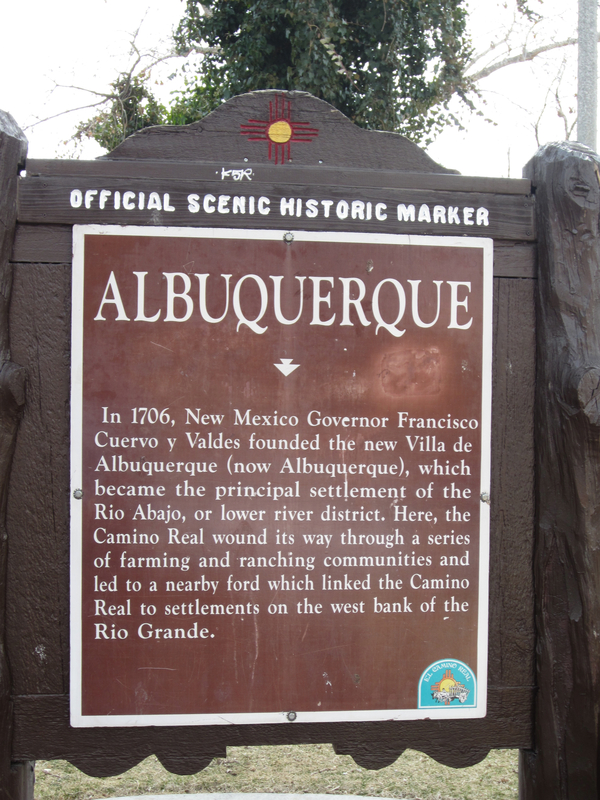 Thanks so much for sharing your Albuquerque experience. I work at the CVB in Albuquerque and it is so great to see our visitors getting use out of our Visitor Guide. Love all of the artwork you captured in your photos. Great post. Thank you for sharing!!! Also, I am a UW-Madison grad as well 🙂 Almost pulled out a win last night! We sure had a great season. Thanks for the response Kelly! 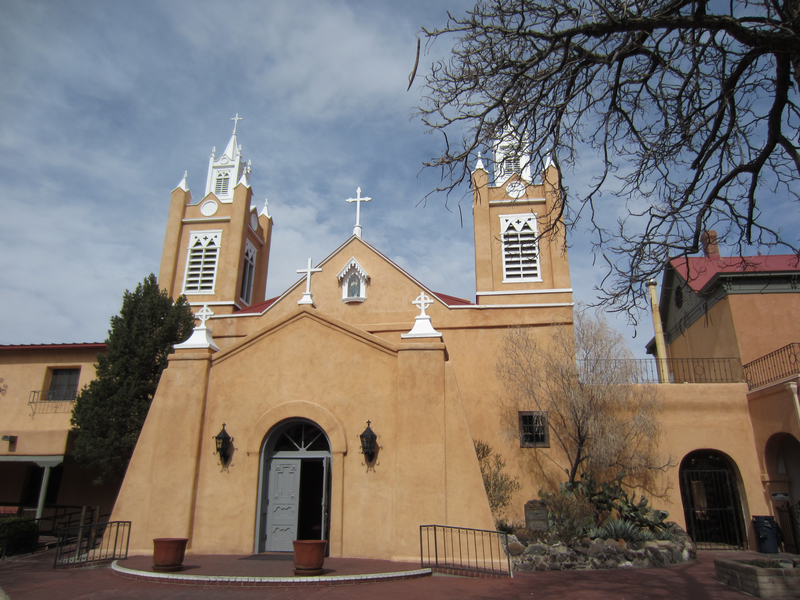 I truly loved visiting Albuquerque and hope to return someday soon to explore even more of this fabulous city!